Recent rains have water standing on some Wakulla County real estate, which has been dry for several years. Ponds, natural and dug, are brimming with water reflecting the generous outpouring from the slow and wet weather system, which passed listlessly over the county. 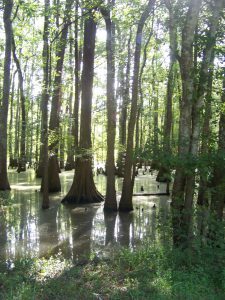 Cypress swamp in Jackson County. The rainwater excess is also filling the natural low points known as swamps or wetlands. 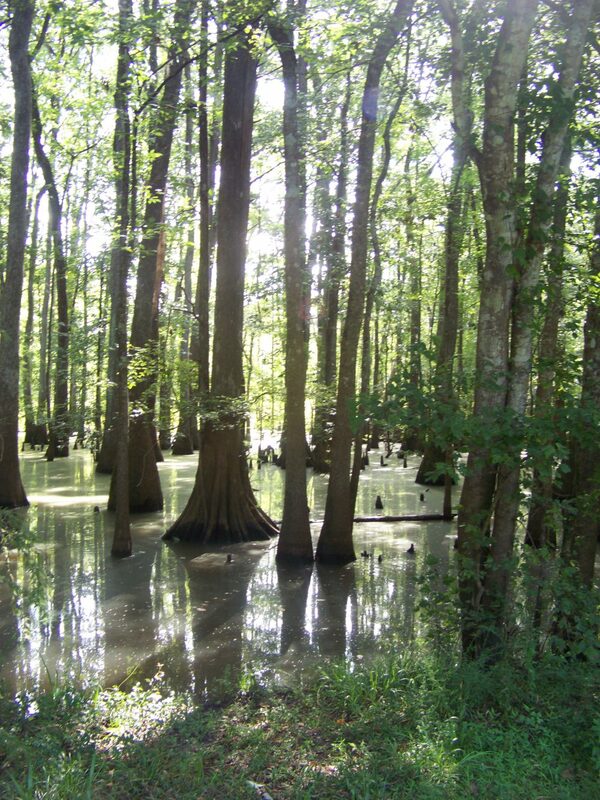 A swamp is defined as a forested wetland. Some occur along the flood plain of rivers, where they are dependent upon surplus flow from upstream and from local runoff. Other swamps appear adjacent to ponds in shallow depressions, which fill during wet periods. Their landscape is covered by aquatic vegetation or trees and plants, which tolerates periodical inundation. Historically, swamps have an image problem. Legend has all sorts of unsavory creatures, degenerates, and ghost inhabiting the locale waiting for the unsuspecting traveler. Even the proper British used the term as a pejorative to describe Francis Marion during the American Revolution. The Swamp Fox engaged in guerilla warfare against the conventional forces and hid in the swamps to avoid capture. Economically, these watery regions have had very low values. Their only significance was as site for trapping, hunting or for logging in dry years. Medically, swamps were seen as a quick and painful way to the grave. There were all those creatures, which could inflict pain, leeches, snakes, gators and the like. Then there was disease. As an example, the term Malaria originated from the swamps of southern Europe where it meant bad air in medieval Italian. The mosquito connection was unknown until the early 20th Century. Hollywood piled on the problem with a series of swamp monster movies. One, “The Creature from the Black Lagoon” was partially filmed at Wakulla Springs. Reality, as is often the case, is quite different from the initial perception. Even the term swamp has fallen out of favor in some circles, being replaced with wetlands. Swamps or wetlands serve a variety of functions in the panhandle. Possibly the most critical is as a filtration system for the water table. Excess rain is held in these shallow depressions and allowed to percolate or filter slowly through the soil. The screening effect of the soil and subsoil layers along with the slow progression cleanses the water of numerous impurities from the surface. Without the holding capacity of local swamps, most rainwater would end up in streams and rivers. In addition to being a loss for the water table, the excess water would cloud waterways with a glut of surface debris and nutrients. It is true mosquitos favor the still swamp waters, but so do many birds, fish and animals. Swamp rookeries are the nesting home for many wading birds. Mosquito larvae are an important link in the food chain, which supports much of the life in the swamp, and beyond. Even some of the swamp’s most ostracized residents, snakes, have an important part to play in the overall environmental balance. These reptiles control the population of many destructive insects and rodents. 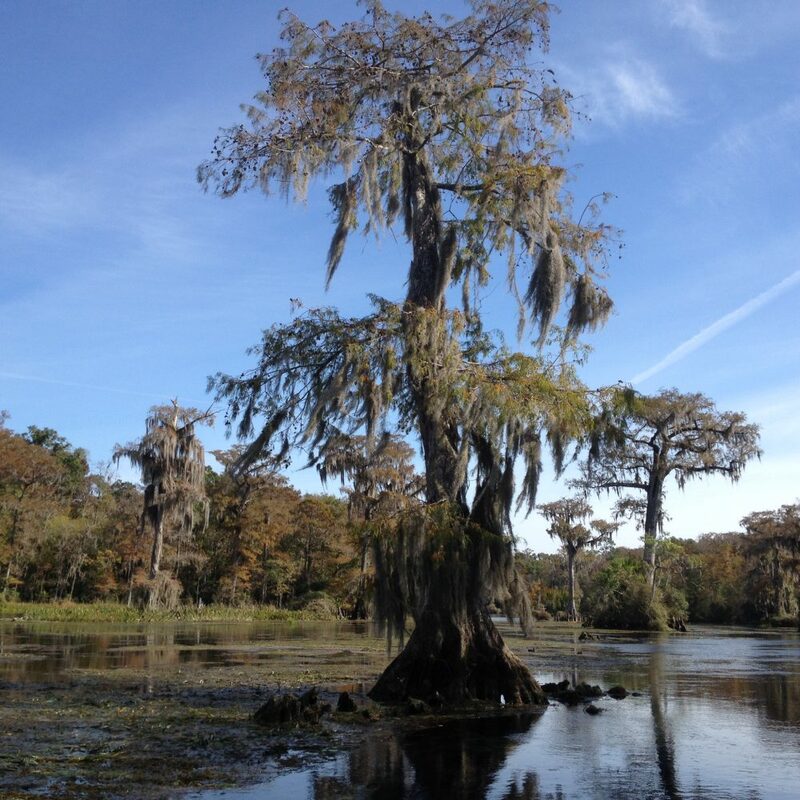 To learn more about the importance of swamps and wetlands, contact your UF/IFAS County Extension Office. After Hurricane Ivan devastated the Pensacola area in 2004, my son was working to repair docks in local waterways. One day, after working on a project in Bayou Texar (near Pensacola Bay), he came by our house and said that he had seen a bald eagle fly over. My wife and I both responded with amazement but at the same time were thinking… “Yea right”. A few days later, we were sitting on the back porch (we live near Bayou Texar) and glancing up we saw a huge bird flying over… you guessed it… a bald eagle. We both looked at each other and just shook our heads saying “did you just see?… yep, that was a bald eagle”. It was totally cool! 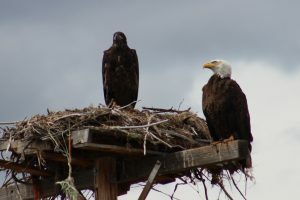 An adult and juvenile bald eagle on nest in Montana. 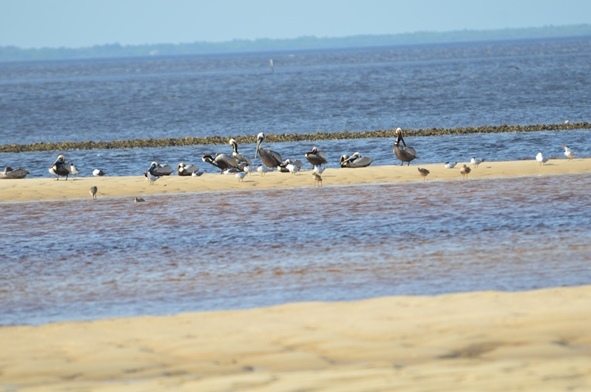 In the 1970’s I worked for a local chemical plant on Escambia Bay that had a bird sanctuary on the property. Occasionally a bald eagle would appear during the winter months but it was not annually, and it was a real treat to see it. However, since Ivan sightings in the panhandle have become quite common. Folks are seeing them over Pensacola Bay, Perdido Bay, Garcon area of Santa Rosa County, Gulf Breeze peninsula, almost everywhere! I actually saw three flying together over Big Sabine on Pensacola Beach recently. They are actually now nesting in the area. These are large birds, 30-40” long with a 7-8 feet wing span, and hard to misidentify – everyone knows a bald eagle. However, the juveniles do not have the distinct white head and tail or the brilliant yellow beak. Rather they are dark brown with possible white spots on their wings, and the beak is darker. The mature color change occurs in 5-6 years. Their diet is mostly fish but they will take small birds and mammals. They are also scavengers, including road-kill, and will “pirate” captured food from other birds. Observations support that ospreys and bald eagles do not really get along. Bald eagles tend to migrate between their breeding grounds in Canada and those of the Gulf Coast. The migrants are typically non-breeding individuals. Breeding ones tend to remain in their breeding areas year round. As of 2014, Florida has the highest densities of southern breeding populations in the lower 48 states, about 1500 nests. Most return to Florida in the fall for nest building. Their nests are typically in forested areas near waterways. They prefer the tallest trees. The nests are quite large; the record in Florida was 9.5 feet in diameter. They typically lay one clutch of 1-3 eggs but may lay a second clutch if the first is unsuccessful. The young remain in the nests until they can fly – usually April or May. Wintertime is a good time to view these animals in our area. Their numbers plummeted for a variety of reasons, including the introduction of DDT, and they were placed on the U.S. Fish and Wildlife Endangered Species list. DDT was banned in 1972 and listing them on the ESL protected from them from poaching; they have since recovered. Today they are no longer on the Endangered Species list and were removed from the Florida Fish and Wildlife Conservation Commissions (FWC) imperiled species list. 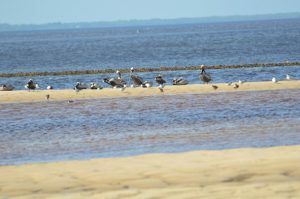 However, they are still protected federally by the Bald / Golden Eagle Protection Act and the Migratory Bird Protection Act; they are also protected in Florida by state law. This site provides known locations between 2012 and 2014. Recent surveys were conducted between 2015 and 2016 in several panhandle counties but those locations have not been posted yet. 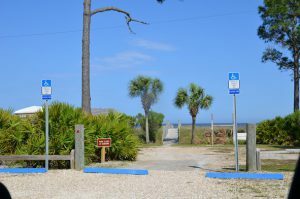 For those in the Pensacola area, there are four permanently injured bald eagles at the Wildlife Sanctuary of Northwest Florida. The public is welcome to visit the sanctuary Wednesday through Saturday from 12:00 – 3:30PM (self-guided). 4H youth assist an IFAS Extension agent in planting a tree. July 2008 IFAS Extension Calendar Photo. 4H children planting a small tree. 4H Club, youth groups, planting. UF/IFAS Photo: Josh Wickham. 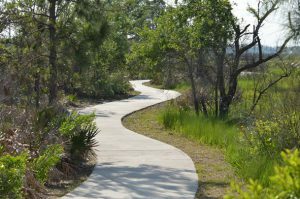 Florida has celebrated Arbor Day since 1886 and has one of the first Arbor Day celebrations in the nation, on the third Friday in January. Trees establish a root system quickly when they aren’t expending as much energy on leaf development. So in Florida that is in the winter months; hence the reason for a January date for Arbor Day. However, installation anytime between October and March are suitable for most tree species. Palms are the exception. They require warm soil in order to root, so it best to plant them from April to August. Planting and establishing trees is all about managing air and water in the soil. Three of the most common causes of poor plant establishment or even death include installing too deeply, under watering, and over watering. 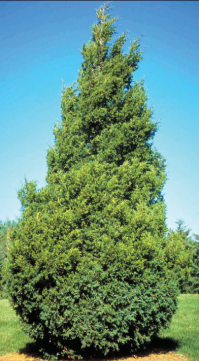 By selecting the appropriate species for the site, planting it at the correct depth, and irrigating properly trees should establish successfully. As simple as that sounds, many trees fail before they ever mature in the landscape. Look up for wires and lights when choosing a site. Make sure that the location is more than 15 feet from a structure. Call 811 for underground utilities spotting at no cost. Remove any synthetic or metal materials from the top of the root ball. Find the topmost root (where the trunk meets the roots) and remove root defects, such as encircling roots. Loosed the root ball. Dig a shallow container-sized hole. Carefully place the tree in the hole. Don’t damage the trunk or break branches. Position the topmost root 1-2 inches above the soil grade. Straighten the tree. Be sure to check from two directions. Widen the hole to add backfill soil. Water to check for air pockets and hydrate the root ball. Add 3-4 inch thick layer of mulch at the edge of the root ball, with little to no mulch on top of the root ball. Prune for structural strength and damage removal. Stake if necessary in windy areas or if required by code. These are probably not the steps used by previous generations. Twenty years of research has improved the techniques required for tree survival. Every year more and more trees are removed from storm damage, pest infestations, and development. Winter is time to add them back to both the urban and rural environments. Celebrate Arbor Day. Plant a tree. But, install it properly. Give your grandchildren the opportunity to enjoy it well into their adulthood. Have a “Tree-mendous” Arbor Day! Arbor Day has a 145-year history, started in Nebraska by a nature-loving newspaper editor who recognized the many valuable services trees provide. We humans often form emotional attachments to trees, planting them at the beginning of a marriage, birth of a child, or death of a loved one, and trees have tremendous symbolic value within cultures and religions worldwide. So it only makes sense that trees have their own holiday. The first Arbor Day was such a big success that his idea quickly spread nationwide–particularly with children planting trees on school grounds. In addition to their aesthetic beauty and valuable shade in the hot summers, trees provide countless benefits: wood and paper products, nut and fruit production, wildlife habitat, stormwater uptake, soil stabilization, carbon dioxide intake, and oxygen production. If you’re curious of the actual dollar value of a tree, the handy online calculator at TreeBenefits.com can give you an approximate lifetime value of a tree in your own backyard. Arbor Day events in the western Panhandle. While national Arbor Day is held the last Friday in April, Arbor Day in Florida is always the third Friday of January. Due to our geographical location further south than most of the country, our primary planting season is during our relatively mild winters. Trees have the opportunity during cooler months to establish roots without the high demands of the warm growing season in spring and summer. To commemorate Arbor Day, many local communities will host tree giveaways,plantings, and public ceremonies. 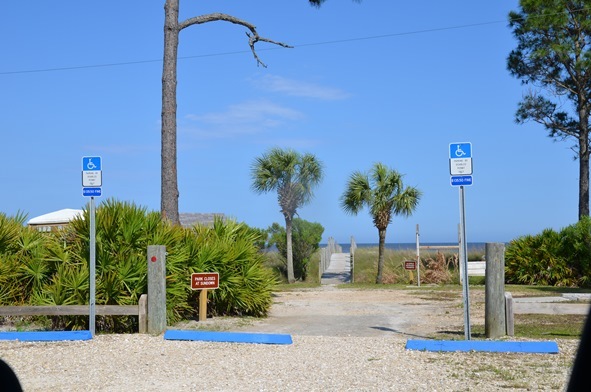 In the western Panhandle, the Florida Forest Service, UF/IFAS Extension, and local municipalities have partnered for several events, listed here. 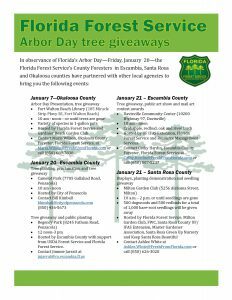 For more information on local Arbor Day events and tree giveaways in your area, contact your local Extension Office or County Forester!